Boston is New England's biggest city; it's also one of the region's most expensive destinations. Here is your guide to some of the best Boston travel deals and discounts. Whether you're planning a family vacation, a romantic getaway or a business trip, these deals and discount offers for travelers can make Boston a more affordable place to visit. The Go Boston Card offers travelers admission to more than 40 Boston attractions for one low price. Cards are available for durations of one, two, three, five or seven days, and prices start at $54 for adults and $37 for children ages 3 to 12 (as of 2017). The Go Boston Card is an especially good deal for travelers who intend to see many of the included attractions during their stay. It may save you both money--up to 55% off--and time, as you won't have to wait in line to purchase a separate admission for each sight. You can also choose the Build Your Own attraction pass option to save 20% off admission to just the Boston attractions you plan to see. CityPass is a less expensive way to see some of Boston's top attractions. A CityPass ticket booklet includes admission to four sights: the New England Aquarium, the Museum of Fine Arts, the Skywalk Observatory at the Prudential Center (or the Harvard Museum of Natural History) and the Museum of Science. You'll pay about 47% less than the cost of regular admission if you visit all of the included sights. CityPass admission tickets are valid for nine days from the first date of use and can be purchased up to 12 months in advance of your trip. Groupon isn't just for deals in your local area. 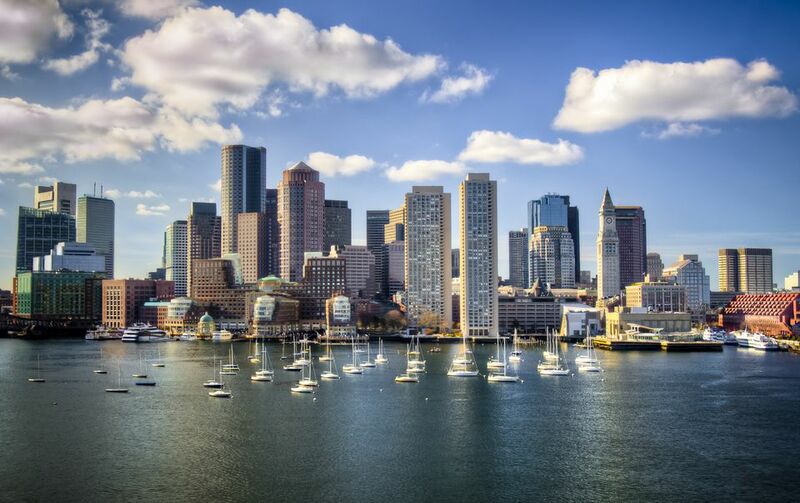 If you're planning to travel to Boston, be sure to check current Boston offers from Groupon for drastically discounted events and activities, dining, spa services and more. If you're hoping to attend a theater, music or dance performance in Boston, then you should know about BosTix. There are two BosTix booth locations in Boston: one at Faneuil Hall Marketplace, the other at Copley Square. Both offer half-price show tickets for same-day performances (cash or credit card). If you like to plan ahead, you can also order discount tickets in advance for a variety of performances online via the BosTix Web site. If you'll be spending an extended time in Boston, you may find it worthwhile to buy the Entertainment Book for the Boston area; it's filled with coupons for hundreds of restaurants, attractions and more. Most deals entitle the coupon holder to a free meal or admission with the purchase of a similarly priced item, so the book won't be terribly helpful to solo travelers, but it can save couples, colleagues or families a bundle. Coupons expire at the end of the year. A companion app makes additional discounts available via your smartphone. Restaurant.com has a unique offering that can help you afford to dine well in Boston. Simply search their list of participating Boston-area restaurants, then use a credit card to purchase restaurant gift certificates at a substantial discount: $10 for a $25 certificate or $4 for a $10 gift certificate. Check the New England Deal Sheet for the latest Restaurant.com promo codes that can save you even more. The only drawbacks? The number of participating restaurants is limited, and you'll be locked into a dining spot. There are also many requirements and restrictions, so read the fine print for each gift certificate offer carefully before completing your purchase. Hotel rooms in Boston don't come cheap. You may be able to save on your stay, though, by using the printable discount coupons available at HotelCoupons.com. Be sure to read individual coupon details carefully, as some restrictions and expiration dates may apply. If you're traveling to Boston with children, you really should print your free Boston Family-Friendly ValuePASS from the Greater Boston Convention & Visitors Bureau. Simply show the pass at participating shops, restaurants, tours and attractions, and you'll receive the discount described. While the savings available aren't astronomical, if you're a parent, you know how quickly costs can add up when you're vacationing with kids. Even small savings can make a difference, and best of all, this ValuePASS is free. Rooms near Boston's Logan Airport can be less expensive than downtown digs, and many of these suggested hotels are near public transportation.